Ensure your content never goes stale! Upload multiple banners under a single campaign to ensure your email recipients stay engaged. Promote the same call-to-action using numerous tactics and compare the results. 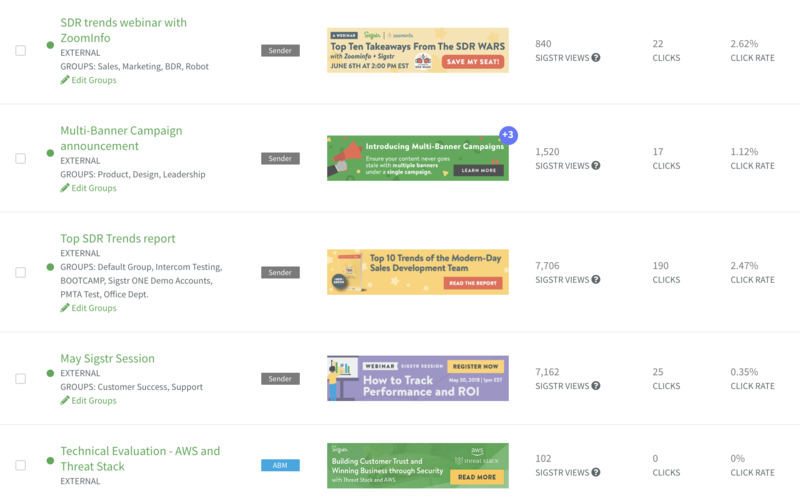 How do Multi-Banner Campaigns work? 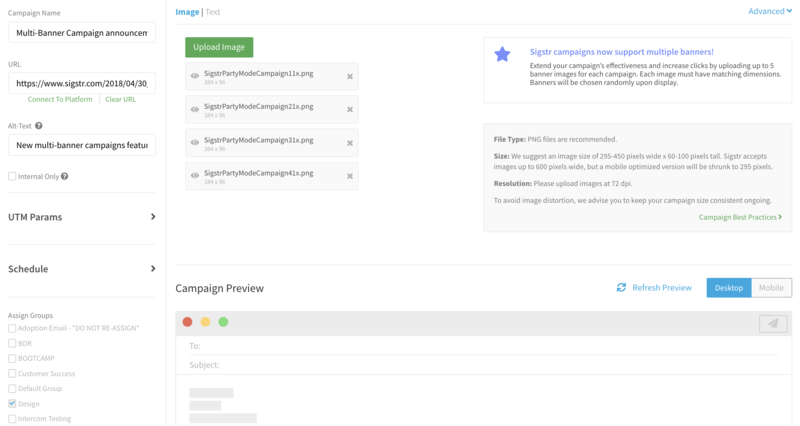 When creating or editing a Sigstr campaign, you'll see the option to upload multiple campaign banners. Once live, the images will rotate at random, but will all link to a single landing page. To keep things organized, campaigns with multiple banners will be marked in the Campaigns section.